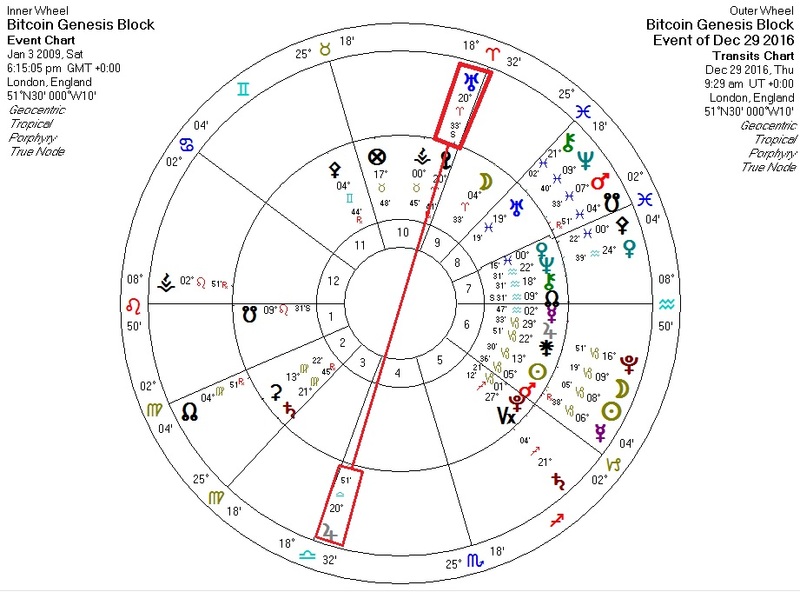 This is an image of today's Uranus direct station, opposite Jupiter, against the horoscope of Bitcoin. I suspect this event, due to its proximity to Bitcoin's MC/IC axis, may be the epicenter of the recent dramatic price rise of the digital currency. I experienced an increase in my own fortunes a number of years ago under a Jupiter-Uranus aspect, and the good luck continued for some time after the aspect had peaked. So I hope goes Bitcoin.